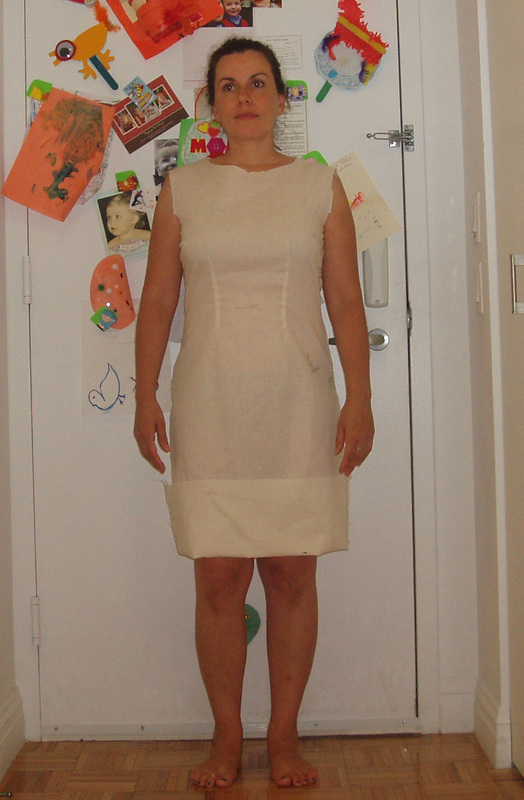 This entry was posted in Beginner, Butterick, Dresses, Fitting, Muslins, Sew Alongs, Sewing, TNT's, Work Wardrobe. Bookmark the permalink. Looks great, Sweetie. It will look great on you too! That is going to be one knockout of a dress! Glad you’re getting the adjustments down! anyways.. you’re going to love this dress even more once the fit is perfected! It’s going to be awesome, and think how fast you’ll be able to pump out well-fitted sheath dresses afterwards! Wonderful results! I am so glad you get help from a teacher, because I do, too. 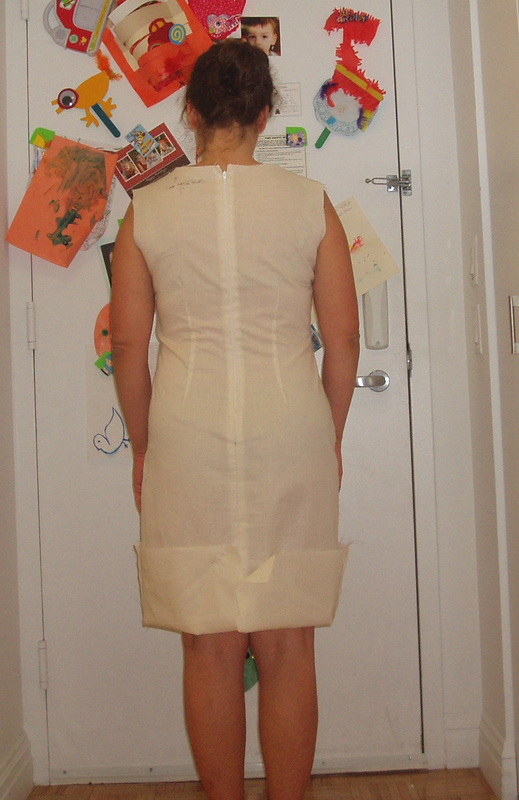 I have sewn all my life and I am such a beginner when it comes to fitting. My teacher told me, “Fitting is hard. Practice, practice, practice. You will get it”. I see you have another Robin commenting so I thought I’d differentiate myself in my sig this time. 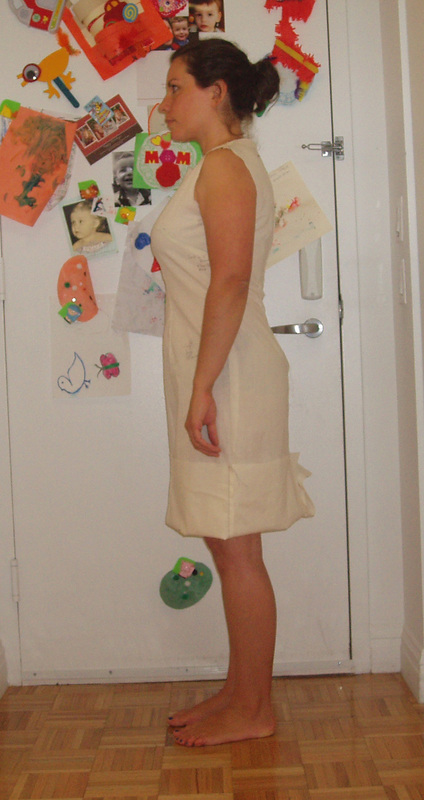 I LOVE the muslin on you – it looks fantastic! I cannot wait to see this one in fabric. Looks great on you…. I don’t have a sewing buddy. Do you think someone who doesn’t sew could still help me with the pinning once I make my muslin? It’s looking great! Other than the points you’ve identified the fit looks really good, particularly the back. I was wondering if you would please share your email address with me as I had something I wanted to ask you via email. Yes, it’s just a little too tight (ease-wise) but otherwise looks great. Good job! I wish I had a sewing buddy to help me. Looks very good! I have a question: when you say “raised the back,” what do you mean exactly? Thanks!